If there’s one way to make your bathroom more functional on a budget, it’s by upgrading your shower head. There’s no doubt that showers are one of the most utilised items in any bathroom. So, why not give your old shower head an upgrade and revitalise your bathing experience once again? With this in mind, today I will showcase 6 of the most popular types of shower heads in Perth you can consider. Choose any of these shower heads for your bathroom, and you’ll truly convert your space into something functional on a small budget. Ceiling or top-mounted shower heads are quite popular here in Perth. As the name implies, these shower heads are mounted on the ceiling, and they spray directly underneath. Ceiling or top-mounted shower heads are essentially rainfall shower heads mounted on the ceiling. Here, at Alpine Building Products, we offer an excellent selection of ceiling / top-mounted shower heads for you to choose for your new bathroom. Our Round Shower Head, Slim Round Shower, Square Shower Head, Slim Square Shower and Cube Shower Head Black are all excellent choices. Rainfall shower heads are by far the most popular type of shower head in Perth. Such shower heads are designed to simulate the water flow of rain. It provides a gentle shower stream and gives you a chance to enjoy a relaxing showering experience. While rainfall shower heads can be ceiling mounted, running plumbing in the ceiling can be difficult and costly. That’s why wall-mounted rainfall shower heads are also available in the market. If you’re looking for rainfall shower heads in Perth for your bathroom renovation, you’ll find none better than those offered in our collection. 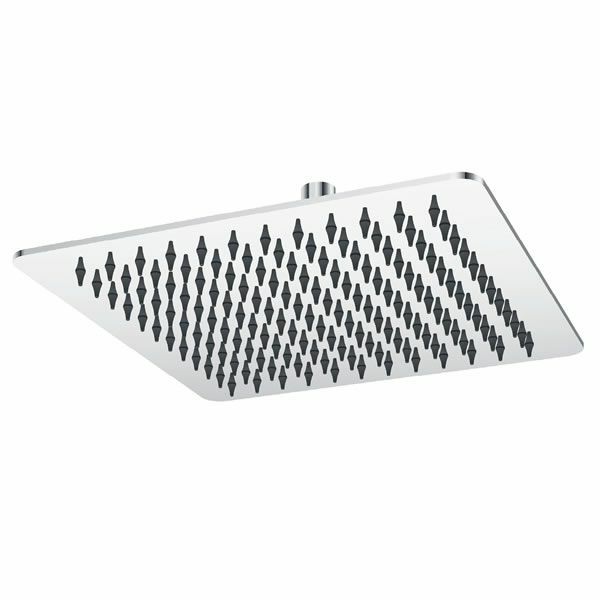 We offer a wide range of ceiling / top-mounted rainfall shower heads. 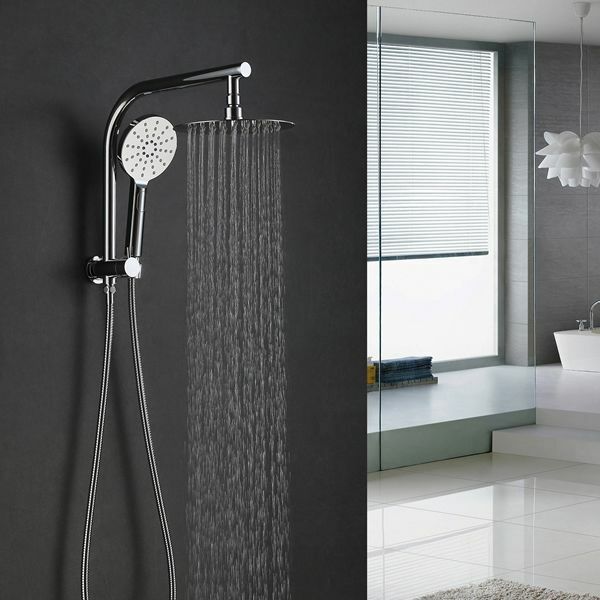 But if you’d prefer a wall mounted shower head, we also have a range of shower arms that will allow for wall mounting. Wall-mount shower heads, also known as fixed or single shower heads are the traditional choice. Such shower heads are usually found in small apartments and basic condos. While these are simple shower heads which are incredibly budget-friendly, they’re also easy to install. Such shower heads offer basic water flow, but you’ll also find shower heads with different flow mechanisms. While we don’t offer complete wall-mounted shower heads at Alpine Building Products, you can easily purchase one of our shower arms to convert any ceiling / top-mounted shower head into a wall-mounted unit. A handheld shower head is a special type of shower head which consists of a shower head attached to a hosepipe. They offer full body coverage without needing to move and position your body unnecessarily. Handheld shower heads are incredibly affordable, and they offer a great compromise between expensive shower heads and cheap wall-mounted units. 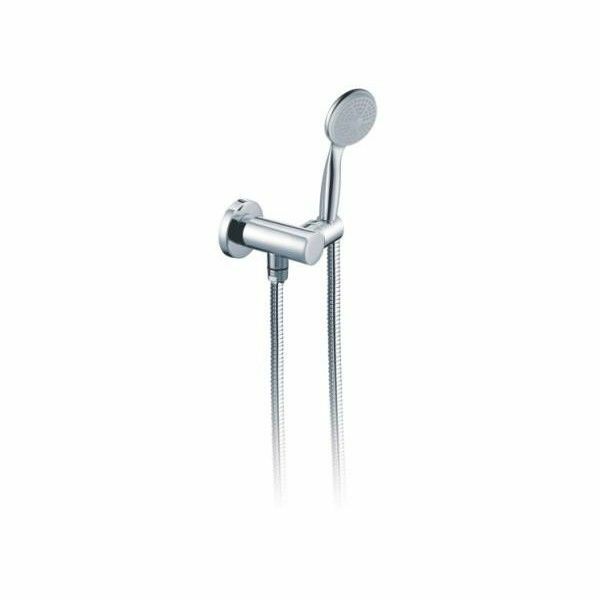 At Alpine Building Products, we offer one of the largest ranges of handheld shower heads in Perth that are ideal for bathroom renovations. Check out our Charli Hand Shower and our Cube Handheld Shower. You won’t go wrong in choosing either of these shower heads. Twin shower sets or rail shower sets are luxurious types of shower heads which usually consist of a handheld shower as well as an overhead shower. They are designed to accommodate all your needs into a single unit, which is why they are becoming very popular in Western Australian bathroom renovation. If you’re looking to buy a twin shower set in Perth, look no further than our range. In particular, I’d like to recommend the Cube Hand Shower Rail Set, Cube Column Hand Shower, Cube Curved Shower Column Set, Roma Round Twin Shower and the Roma Square Twin Shower. Any of these sets will help to turn your bathroom renovation into a luxurious one. A sliding bar or rail shower head usually consists of a handheld shower attached to a sliding rail. The height of the rails can be adjusted easily by moving the sliding bar up or down. These shower heads are ideal for families with kids where people of different heights need to use the same shower. For the best sliding bar or rail shower heads in Perth, consider us at Alpine Building Products. 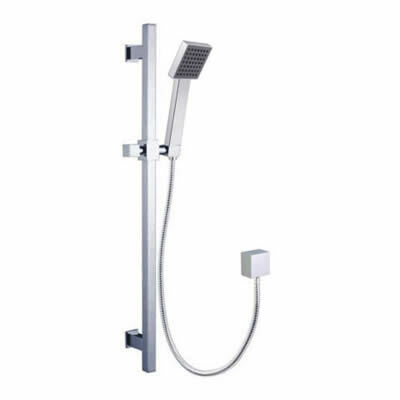 Our Charli Hand Shower with Rail and Square Hand Shower with Rail are both excellent shower heads you can consider. 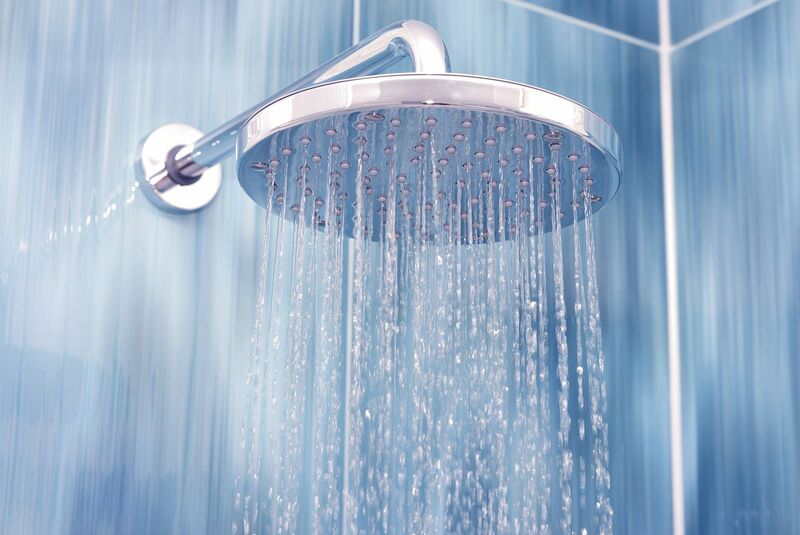 If you’re undergoing a bathroom renovation, then you should consider upgrading your shower head. The most popular types of shower heads in Perth include ceiling or top-mounted shower heads, rainfall shower heads, fixed or single or wall-mounted shower heads, handheld shower heads, twin shower sets (rail shower sets) and sliding bar (rail) shower heads. Regardless of which shower head type you want to include in your new bathroom, you’ll find what you need from our range. Find your nearest retailer to buy a shower head from Alpine Building Products in Western Australia.